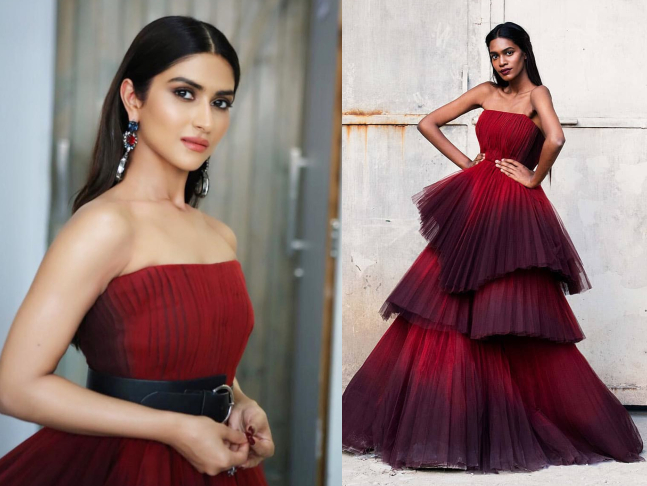 For her appearance at the red carpet, Pranutan Bahl stepped out wearing this magnificent number and you have to see the details! Styled by Sanam Ratansi, the actress wore this Sharnita Nandwana gown for the gala. Her larger-than-life outfit was paired with some delicate accessories by Azotiique. We can't get over the ombre-layers...mesmerizing really!